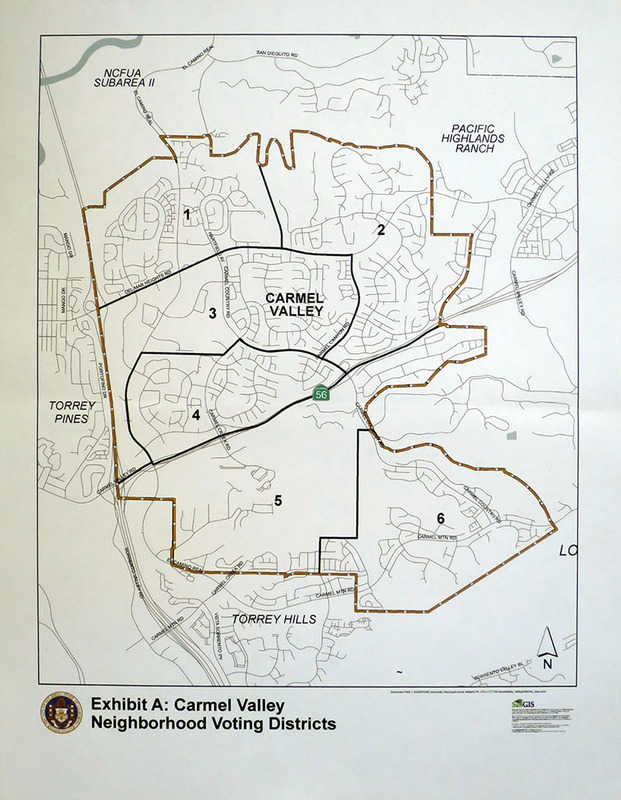 The Carmel Valley Community Planning Board (CVCPB) will hold elections for board positions before the meeting on Thursday, March 24, 2016. 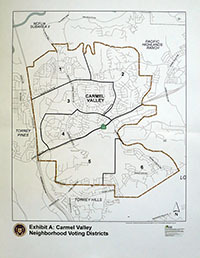 The elections will run from 6:15 pm to 6:45 pm at the Carmel Valley Library, 3919 Townsgate Drive. The 2016 CVCPB Ballot and the new 2016 CVCPB Election District Map are attached here. Note that no new people registered as candidates, leaving only existing members up for election. However, the voting districts have been redrawn to reduce the number of districts, with two candidates in Voting District 4 - Debbie Lokanc and Chris Moore. All other members are running unopposed. Additional information can be found attached here, at the CV Planning Board Page on this site, or on the City's website at the Carmel Valley, San Diego Community Page.